Happy Saturday friends! Today’s blog post is a weekly round-up of all my outfits as well as my favorite sales going on right now. Happy shopping! The perfect white sweater that also will look cute with denim shorts for a transitional spring look! 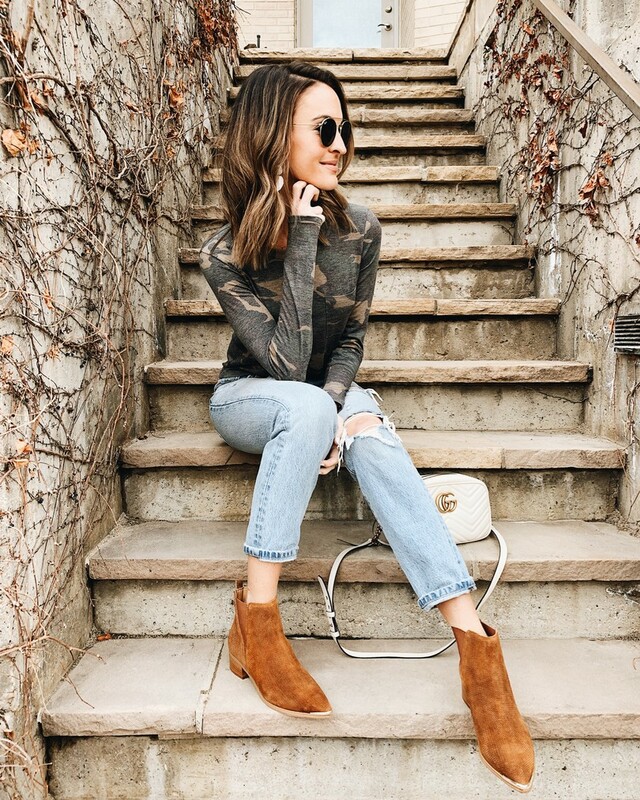 These booties are legit the perfect heel height and SO comfortable! I am obsessed with these camo leggings! This black top also goes with everything and I find myself reaching for it constantly! Both run tts. Y’all already know how in love I am with this pink sweater! It’s perfectly oversized, super soft, and on sale! These jeans also made my list of 2018 best fashion purchases. They’re so flattering and never fade! Always love sharing this girl’s outfits! 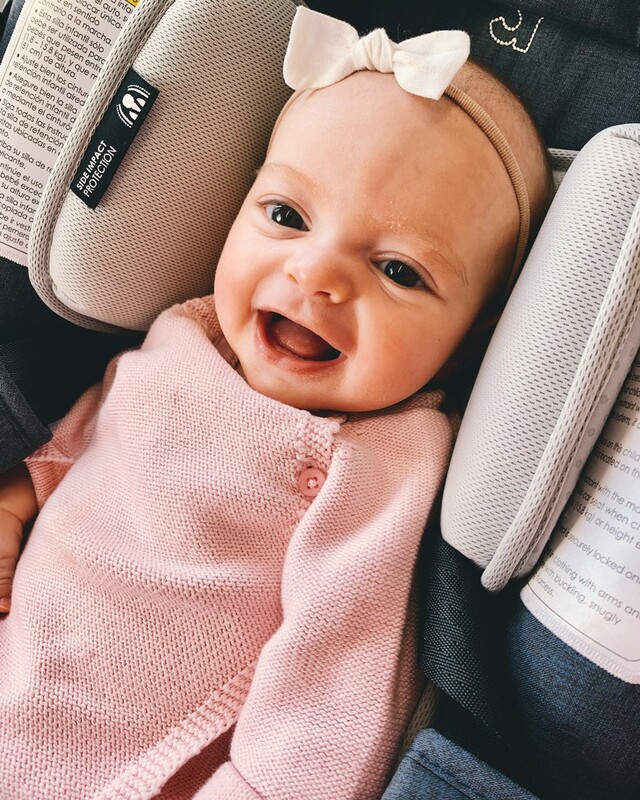 Linking her pink sweater + pant set, plus some fave bows! Seriously want this fuzzy pullover in every color! So cute with leggings, jeans, or denim shorts! Y’all know I LOVE camo and this tee is under $30! These suede booties are also some of the most comfortable ones I won. Love the lower heel and the cognac color! The same chenille sweater as above, but in white! And some of my go-to leggings that are super comfortable and don’t pill! Found my new favorite jacket! Y’all it is so cozy and perfect – grab it before it sells out! 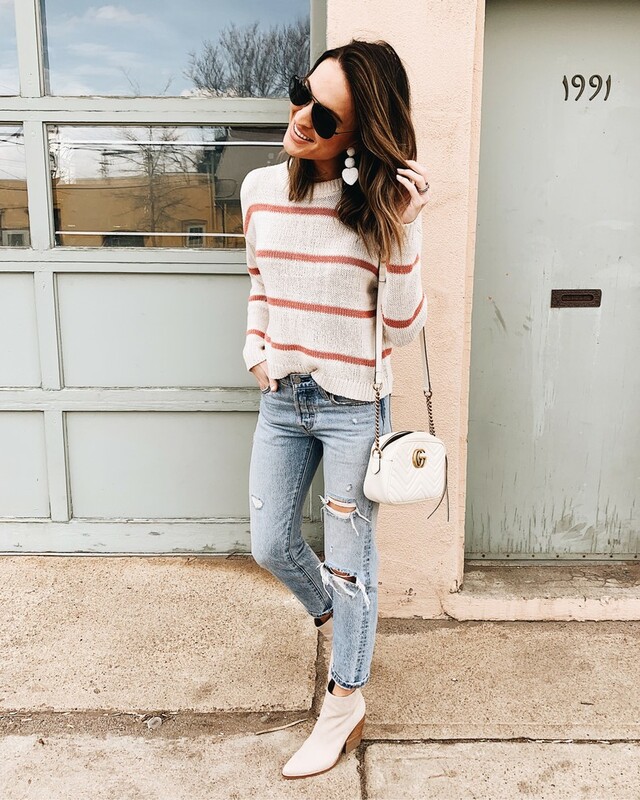 The perfect striped sweater for transitioning into spring! And how fun are these little heart earrings?! Truly the softest pj’s ever! I never want to take them off. So fun for valentine’s day too!